“Gender, Land and Mining in Mongolia” is the product of two years of rigorous field research in Mongolia in collaboration with the Mongolian NGO, People Centered Conservation (PCC). It is the first country research report by the WOLTS (Women’s Land Tenure Security) project team at Mokoro and involved repeat rounds of both quantitative and qualitative participatory fieldwork to validate results. Among other findings, the WOLTS Mongolia research has uncovered the phenomenon of fake divorce and documented numerous ways in which mining is exacerbating stresses on herding families’ lives. To download the full report and a summary of key findings and recommendations please visit the WOLTS web page. In 2017 Mokoro completed mid-term evaluations for its school feeding programmes in Bangladesh, Lao PDR and Nepal. School feeding has been part of the global portfolio of the World Food Programme (WFP) for the last 45 years. Through its long-term engagement in this area the agency has become a leading player worldwide. The full reports from the evaluation can be downloaded here. In addition, Christine Fenning and Jane Keylock, team members from the assignment, have written a review of the assignment. Read the full article. 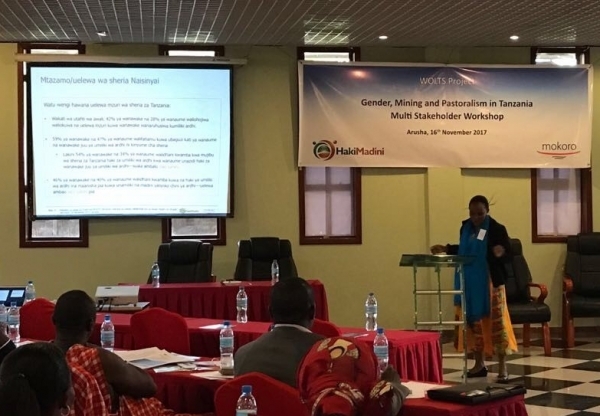 On Thursday 16 November 2017 members of the WOLTS team hosted a ‘Multi-Stakeholder Workshop on Gender, Mining and Pastoralism in Tanzania’ in Arusha, Tanzania. For the past 18 months Mokoro and HakiMadini have been working together in Tanzania on a long-term practical and action-oriented strategic research project on women’s land tenure security – the WOLTS Project. 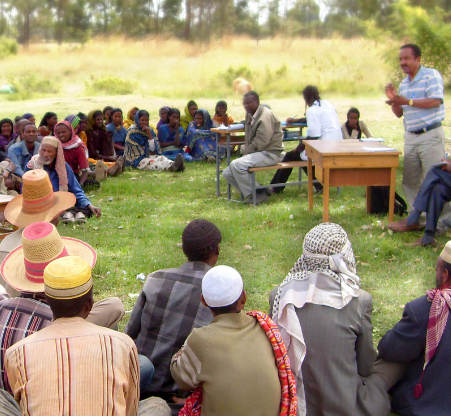 The team have carried out in-depth and rigorous research in two pastoralist communities affected by mining in Simanjiro and Longido districts (Mundarara and Naisinyai villages), looking at the intersection of gender and land relations in different pastoralist contexts and developing a methodology for continuing community engagement. This has involved multiple site visits and different research methods and techniques to triangulate and validate data. The WOLTS team presented findings from the research in both study communities at the November workshop, which was chaired by Mr Amani Mhinda, Executive Director of HakiMadini. Participants included community representatives, local- and district-level government officials, as well as representatives from civil society, the private sector and from the Government of Tanzania’s Land Tenure Support Programme. Mokoro and HakiMadini were delighted to have Mr G. F. Daqarro, the District Commissioner of Arusha District, officially open the workshop, with Mr E. Senka, representing the Arusha Zonal Mining Office, giving the closing remarks. The WOLTS team have benefited from a productive collaboration at all levels of government and with a wide range of other local- and national-level stakeholders since the start of the research, and they were very pleased to be able to share initial findings and obtain feedback on possible next steps. The workshop included an introduction presentation on the WOLTS research by Mokoro’s Dr Elizabeth Daley, WOLTS Team Leader, as well as presentations on the findings from both communities by Ms J. Ndakaru, HakiMadini’s Gender Officer, and Mr. E. Kereri, also from HakiMadini. Lively discussions and working group sessions followed and the research was highly appreciated by all. Robin Palmer represented Mokoro at the DFID-funded Land Policy Forum, held at IIED on 2 November 2017. 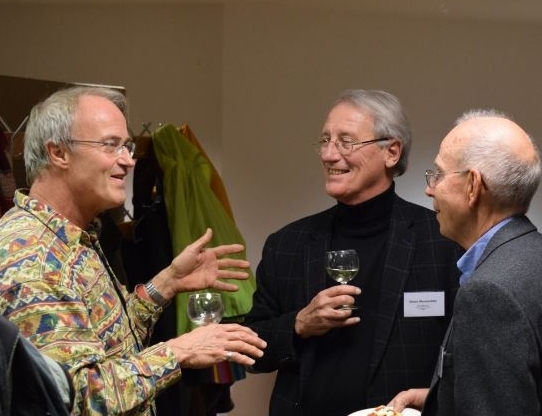 Robin Palmer writes “It was a very good meeting. A certain dynamic has now evolved with a number of the same people coming to many of the meetings, e.g. from ODI, IDS, IIED, Global Justice Now, Human Rights Watch, KPMG, UK Land Registry. The theme of this 5th meeting was legal empowerment and agribusiness investments. When introducing myself and Mokoro I said that this was an incredibly important theme in A Grim World for Land and Environmental Defenders. Two of the four speakers I knew to be outstanding people in this field – Lorenzo Cotula of IIED (who has been working on legal tools since 2006) and Rachel Knight of Namati. The others were Tom Lomas of Forest Peoples Programme and (by video link) Kaitlin Cordes of CCSL (Columbia Center on Sustainable Development). what legal empowerment method are you using? ; lessons and insights? ; what are the gaps? Lorenzo stressed that there was no ‘IIED approach’ – you needed different approaches in different contexts. Rachel and Tom noted that you needed to work at different levels. Rachel said that communities were often unaware of the real commercial value of their land. A long-term political economy approach was required, not a 3-year project cycle. You had to engage with the powerful and apply both top-down and bottom up-pressures, create allies and build a movement. On Tuesday 24 October 2017 members of the WOLTS team hosted a Multi-Stakeholder Workshop on Gender, Land and Mining in Ulaanbaatar, Mongolia. 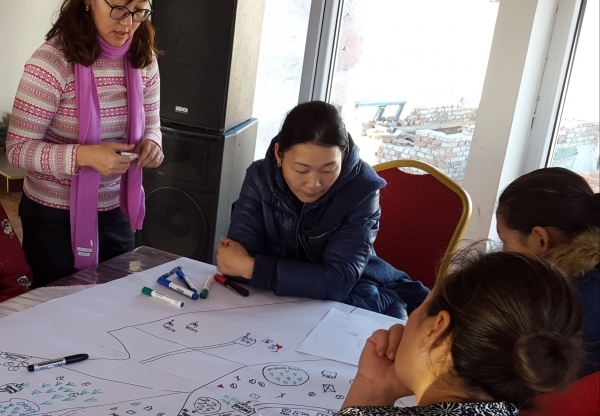 For the last two years Mokoro and People Centered Conservation (PCC) have been working together in Mongolia on a long-term practical and action-oriented strategic research project on women’s land tenure security – the WOLTS Project. The team have carried out in-depth and rigorous research in two pastoralist communities affected by mining (Bornuur and Dalanjargalan soums), looking at the intersection of gender and land relations in different pastoralist contexts and developing a methodology for continuing community engagement. This has involved multiple site visits and different research methods and techniques to triangulate and validate data. The WOLTS team presented findings from the research in both study communities at the October workshop, which was facilitated by Ms Y. Narangerel, Executive Director of PCC. Participants included community representatives, national and local government officials, civil society organisations, development partners and representatives of the private sector. 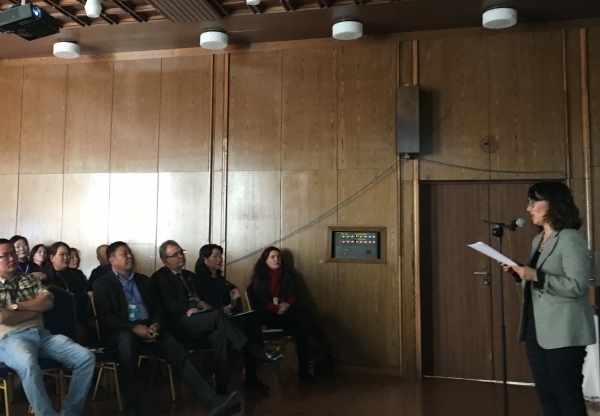 Mokoro and PCC were delighted to have Mr J. Batsaikhan, Head of Land Management at the Mongolian Agency of Land Affairs, Geodesy and Cartography (ALAGaC), officially open the workshop. The team have enjoyed a productive collaboration with ALAGaC from the start of the research. The workshop opening was followed by an introduction to the WOLTS research by Mokoro’s Dr Elizabeth Daley, WOLTS Team Leader, and presentations on the findings from both communities by Ms Y. Narangerel and Mrs. B. Munkhtuvshin, also from PCC. Lively discussions followed and the research was highly appreciated by all. 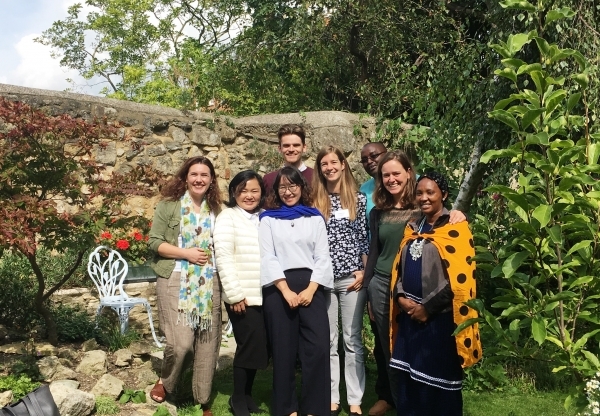 On Friday 1 September Mokoro was pleased to host several members of the WOLTS team, including partners from Mongolia and Tanzania, at our seminar in Oxford to share initial findings from the WOLTS project. 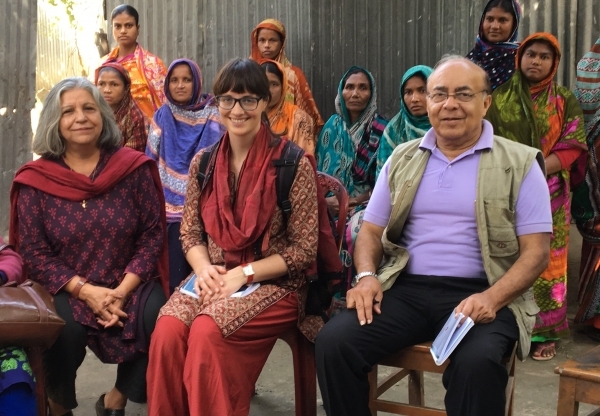 WOLTS is Mokoro’s long-term, multi-country and action-oriented strategic research project on Women’s Land Tenure Security, which began almost two years ago. The team have so far focused on the effects of mining on pastoralist communities in Tanzania and Mongolia, and is seeking to help secure land rights for all vulnerable people. You can read more about WOLTS here. The seminar was chaired by Dr. Elizabeth Daley, Mokoro Principal Consultant and the WOLTS Team Leader, and included presentations on the project’s rigorous research methodology and on some of the initial findings from our work in four communities in Mongolia and Tanzania. We were delighted to welcome as speakers Ms. Narangerel Yansanjav and Ms. Lkhamdulam Natsagdorj from People Centered Conservation in Mongolia, as well as Mr. Amani Mustafa Mhinda and Ms. Joyce Ndakaru from HakiMadini in Tanzania. We were also very pleased to have Mokoro team members Ms. Zoe Driscoll, Mr. Jim Grabham and Ms. Kristina Lanz speaking at the event. The presentations from our seminar will be published on our WOLTS webpage later this year; the agenda and speaker information has already been posted to our seminar page. The 1000th article has been posted on the Mokoro-hosted Land Rights in Africa website. The website was created in January 2000 by Robin Palmer, and was originally housed by Oxfam GB, where Robin worked as a Land Rights Adviser. It is a library of resources on land rights in Africa – with a particular focus on women’s land rights and on the impact of land grabbing in Africa. The portal has been well received by practitioners, researchers and policy makers, and has grown considerably over the years. Since 2012, Mokoro has been hosting and maintaining the site. Robin Palmer has written some thoughts on the Land Rights in Africa website, 2000-2017. Read more here. 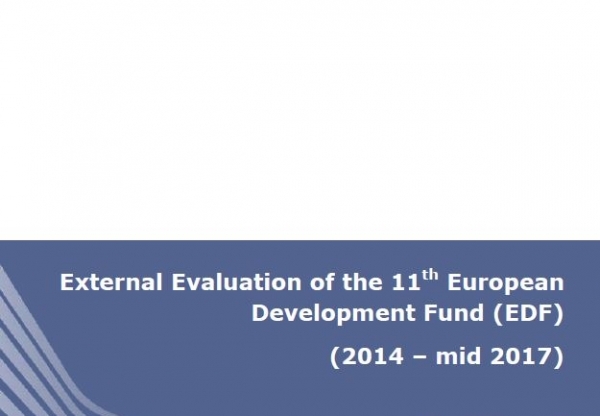 Mokoro have recently completed a global evaluation of the 11th European Development Fund. This is the largest EU development financing instrument and is one of ten ongoing mid-term evaluations of the Commission’s instruments. The EDF targets African, Caribbean and Pacific (ACP) partner countries governed by the Cotonou Agreement, as well as the Overseas Countries and Territories (OCTs) of the EU member states. Following a 12-week Open Public Consultation of all ten EFI MTRs in February 2017 the final report was published in June 2017. The report and more details on this assignment can be viewed here. 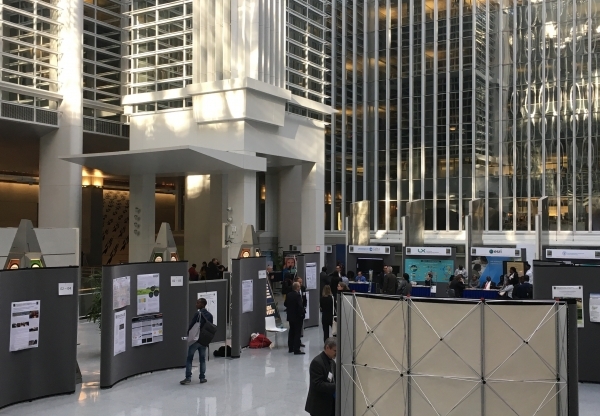 Mokoro were pleased to be present at the Annual World Bank Conference on Land and Poverty this year. Mokoro Principal Consultants were authors of three papers presented at the conference this year. Chris Tanner co-authored ‘Doing (Inclusive) Business in Guinea Bissau: Re-activating the 1998 Land Law‘, alongside Camille Bourguignon from the World Bank, and ‘A Programme for Improving Land Governance Transparency in Ethiopia‘, alongside Tigistu Gebremeskel Abza from the Ministry of Agriculture in Ethiopia. Elizabeth Daley co-authored ‘Pastoral Women’s Land Rights and Land Use Planning in Tanzania: Experiences of the Sustainable Rangeland Management Project‘ with Naseku Kisambu, Fiona Flintan and Sabine Pallas. Mokoro also presented a poster ‘Action-Oriented Strategic Research for Improving Responsibility and Gender-Equitability of Land Tenure Governance’, which featured the ongoing experience of Mokoro’s long-term practical action-oriented strategic research project on Women’s Land Tenure Security (WOLTS). The poster highlighted the importance of using a medium-to longer-term lens to assess real change in gendered social relations at community level with respect to land. It also emphasised capacity development with local civil society partners, governments and communities to empower them to support and monitor changes in local land governance, land tenure arrangements and social norms over time. Please follow the links to read the papers presented. To find out more about WOLTS you can sign-up for the WOLTS mailing list by emailing zdriscoll@mokoro.co.uk.